It’s been almost a year since I started this quilt, almost 4 months since I finished it, and about 2 weeks since I took these photos. But it’s done and I like, like, like it. It was made almost entirely out of thrifted sheets. The brown/yellow/blue and red stripes were cut from a striped fabric I had in my stash that matched the colors in the butterflies almost perfectly. I must admit I was in a hurry to finish this quilt, so I ended up quilting only around the “frames”, even though I have recently started gravitating toward more densely quilted work. But I think that it turned out OK. I didn’t only like the butterflies, I really liked the colors. 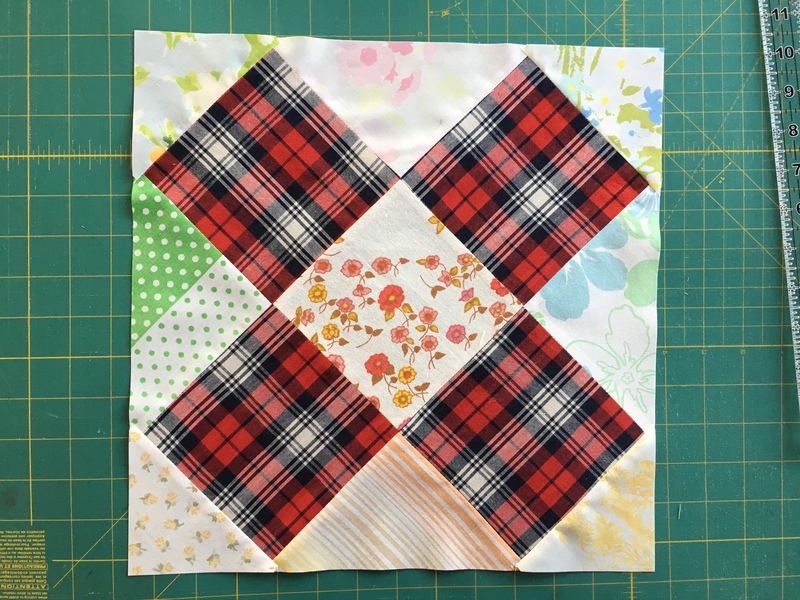 I am thinking about making another quilt with the same color combo. For some interest I added those little tiny (1/2 in) squares between the butterfly squares. I backed it with another thrifted sheet, which also matched the colors – well except the blue. I love how that works with vintage sheets. I used the same sheet for binding. And I just noticed that the colored stripes on the binding are parallel. Not intentional. I love how that works sometimes too. This entry was posted in quilting, sewing and tagged flutters quilt on January 26, 2012 by flekka.